EJ-SP250M/SP260M is a good selling type. It features A-grade high efficiency monocrystalline solar cells and is assembled in compliance with EJAI’s unique quality standards. 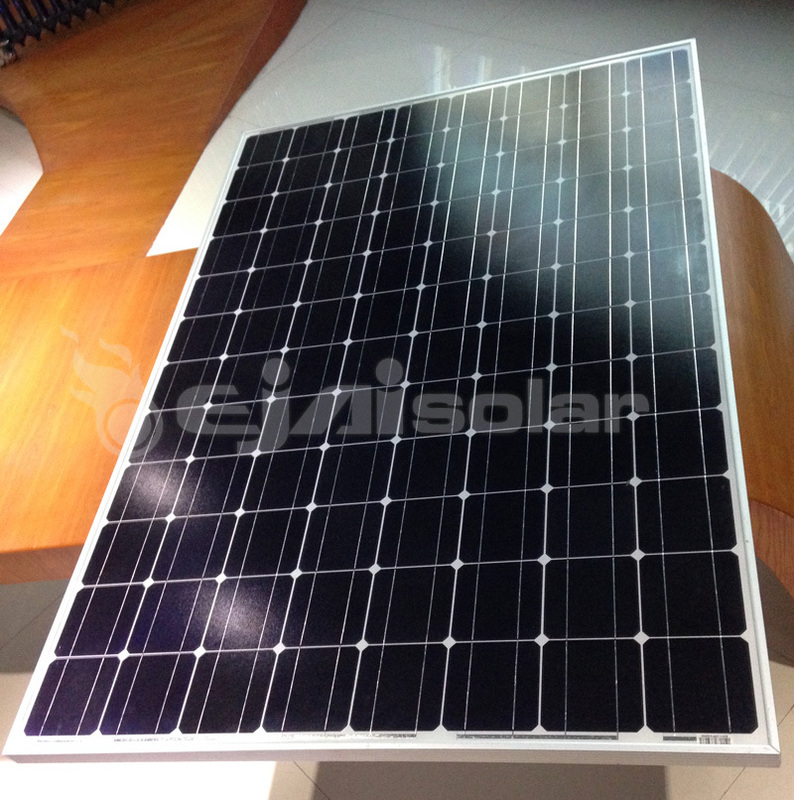 Featuring 60 6” solar cells, the EJ-SP250M/SP260M not only is a preferred option for residential systems, but also proved to be a great match for commercial and large-scale applications. 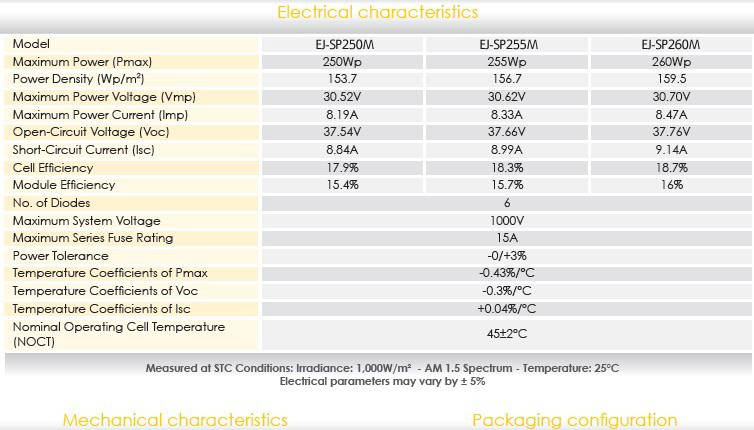 Please well note Ejai solar reserve the right to update product technique when needed, latest product technique is subject to current quotation if any technique changed.